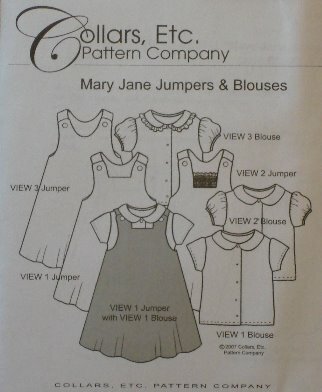 Mary Jane Jumpers & Blouses includes 3 jumper and 3 blouse styles. All Mary Jane Jumpers are A-lined and have shoulder a flap closure. The skirt has more flair than a regular shift. The all-machine lining makes the jumper quick and easy to sew. All Mary Jane blouses button up the front and have slightly a contoured shape. There are two sleeve and two collar variations. 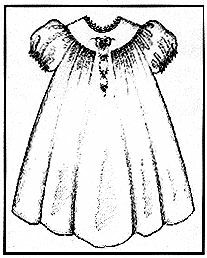 The petite, one-piece collar can be plain, piped or ruffled. Smart, tailored blouse construction is fashioned after the method used in the ready-to-wear industry. 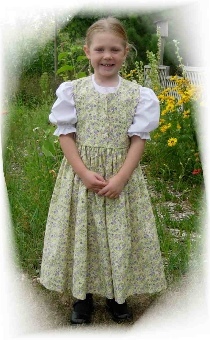 Sizes 2-5 included in this pattern.